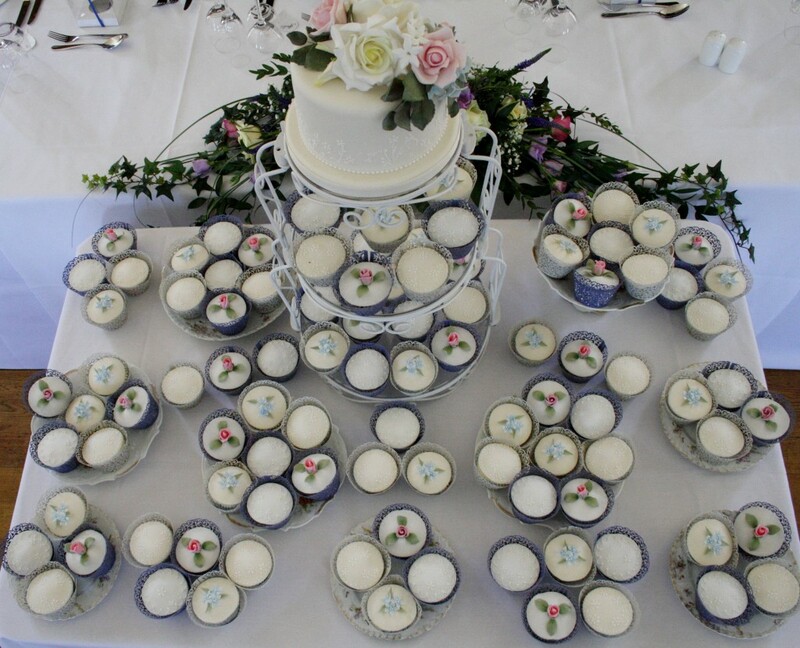 Single tier wedding cake and cupcakes at Herstmonceux Castle, East Sussex. Single tier of Belgian Couverture Chocolate sponge with a whipped Belgian Couverture chocolate ganache filling, iced in ivory, with hand piped white matt bespoke detail pattern. 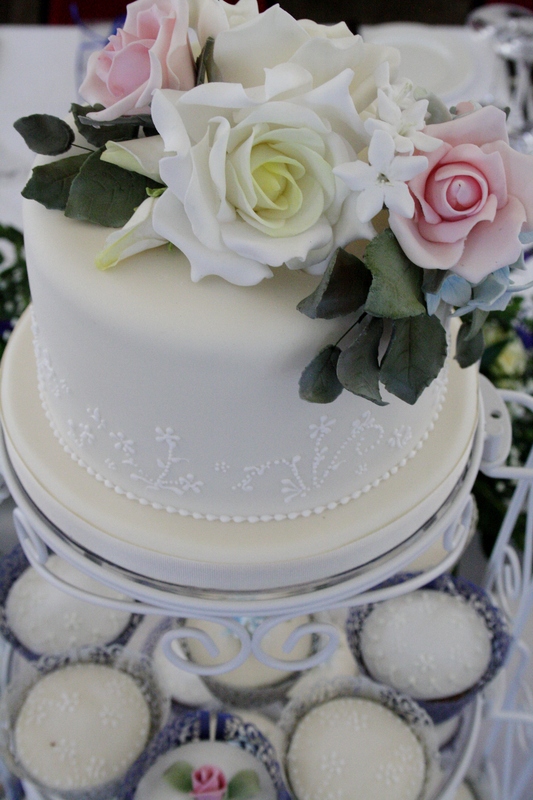 Finished with sugar roses, hydrangea, viburnum and foliage. One hundred cupcakes iced and decorated to match, fifty of Belgian Couverture Chocolate sponge with ganache and fondant topping, fifty of fresh lemon zest sponge with lemon buttercream and fondant topping. All cupcakes hand piped with embellishments to match cutting cake, with sugar rose buds and sugar blossoms and leaves.